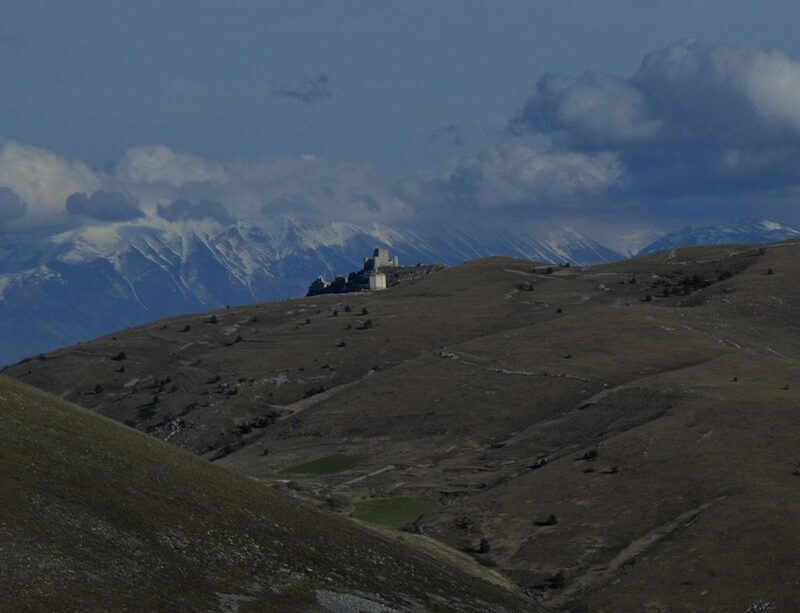 Abruzzo stretches 90km east of Rome across the centre of Italy to the Adriatic Coast, encompassing Italy’s highest peak, the Corno Grande in the Gran Sasso Mountains of Abruzzo, and to the south the Majella Mountains that stretch from L’Aquila down to Chieti. We generally recommend flying direct to Abruzzo International Airport based in Pescara, which is approximately 3 km outside the main city centre. If you drive there you will need to get off the A14 Autostrada at Pescara Ovest, from the A25 off at the Sambuceto junction. For reference the airport code is (PSR/LIBP). Pescara Airport is served by mostly lo-cost carriers like Ryanair. You can fly direct to Abruzzo from international destinations that include: London, Paris, Toronto, Barcelona, Brussels, Bucharest, Frankfurt, Eindhoven, Osolo, Prague & Tirana. If you are looking to travel during school holidays do check out flights to both Rome and Ancona which are slightly more reasonable unless you can book a year in advance. There are 3 main autostrade that connect Abruzzo to the rest of Italy; these are toll roads and you can check the charges of the tolls you will pay on AutoStrada Italia for your journey in English here. A14 -This is a coastal road that runs from Bologna in the North, to Bari in the South, and runs through each of Abruzzo’s coastal provinces. A24 – This runs from Rome through to Teramo via L’Aquila. A25 – This runs from L’Aquila through to Pescara. If you are driving from the UK or Northern Europe allow 22 hours of driving with proper breaks for you to get to Abruzzo’s northern province of Teramo. The most cost-effective way is via Belgium, skirting Eastern France & Western Germany, onto Switzerland and straight down into Milan. It’s a very easy straightforward drive and costs in tolls approximately €80 one way which includes your Swiss Vignette that is valid for a year! From Milan pick up the A1 to Bologna whereupon you can pick up the A14 straight down to Abruzzo. The trains in Italy don’t have the greatest reputation, perhaps that is why so much freight goes by truck rather than train… anyway to get to Abruzzo from Rome by train you need to get to Tiburtina Railway station, from here you will be able to get out to Sulmona & Pescara but it takes almost 4 hours. From Pescara you can change and get up to Teramo via the coastal train that runs right along the Adriatic coast with stops at the most important beach areas in Abruzzo. If you intend to travel from Rome to Abruzzo, the station you will catch your Express or Stopping coach will be from Staz. Tiburtina. Expect to pay about €15 return for an Abruzzo destination. Local Abruzzo public transport isn’t bad, but in saying that unless you are an early bird or are governed by your stomach, your holiday travel plans without a car will naturally have to fit in with local Abruzzo work and dining times (8.00am-1.00pm & 4.00pm-12noon; at lunchtime 13.00-16.00 everything closes completely!). Our advice is to rent a car to make the most of your time in Abruzzo.